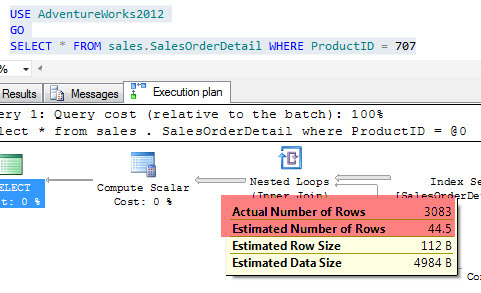 In this article I will discuss about the ‘Optimize for Unknown’ query hint that was introduced in SQL Server 2008 and how we can use it. So what is ‘OPTIMIZE for UNKNOWN’? ‘OPTIMIZE for UNKNOWN’ directs the query optimizer to use the standard rules it uses if no parameter values have been passed.The optimizer will use statistical data instead of the initial values for all variables when the query is compiled and optimized. Now the big question is how does this help? Well ‘OPTIMIZE for UNKNOWN’ is one of the mechanisms which helps us to avoid parameter sniffing. So what is parameter sniffing? I will explain this with an example. I will use the Adventureworks2012 database for demonstration purpose on SQL Server 2012. However you can use any other version but not lower than SQL Server 2008. Now lets take a look at one of the aspects of the execution plan of the above query. Make a note that the actual number of rows is 13 and the estimated number of rows is 44. Now let us run another query with a different value. Plan XML for Compiled and Runtime values: Make a note here that the compiled value used by the query optimizer here to create the plan is 744 which was the value that the previous query used. This is called parameter sniffing where the optimizer sniffs the current parameter value during compilation. Yes, it can. When a non-similar parameter is passed when a plan is compiled for the first time, the plan that the optimizer will find in the memory may not be the optimal one for that parameter passed. This will can result in a plan that is suboptimal and can cause a devastating effect on performance. So how can we use ‘OPTIMIZE for UNKNOWN’ to avoid parameter sniffing. let us understand that with the below example. 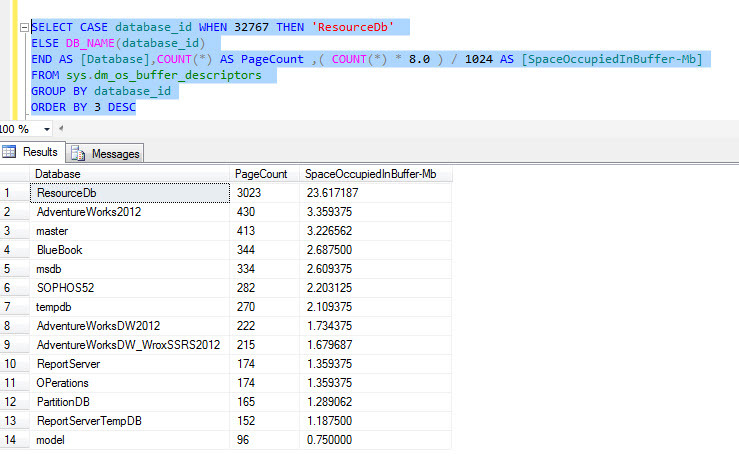 So with the use of the query hint the optimizer does not use the value that it got from the cache but generates a new plan based on the available stats in the database. What are the kind of stored procedures that can be a victim of Parameter Sniffing? B) SP’s which has parameters in range operators. In this article I will demonstrate how we can find the last execution details of a stored procedure in SQL Server 2012 or SQL Server 2008 R2.With DMV’s getting modified in these 2 editions of SQL Server, the amount of information we can obtain from the plan cache can be handy for investigation purpose. When a stored procedure is created or recompiled, a plan for the same is created and cached in the plan cache. Whenever the same stored procedure is executed, the plan is recalled from the SQL memory for execution purpose. 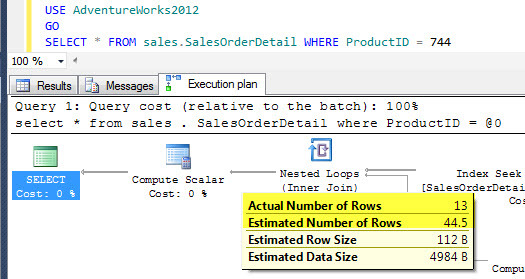 The details of an execution is stored internally in SQL Server which can be fetched via the dynamic management views. A key element in this process is that the plan has to be in the plan cache for us to derive the information. 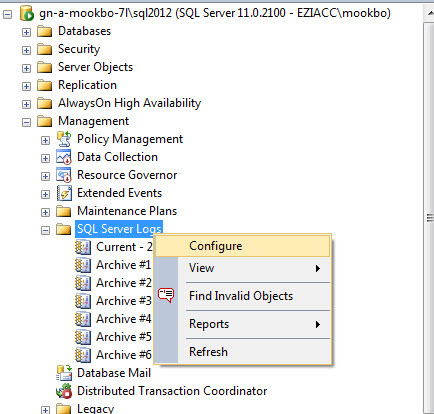 By any chance if the SQL Server gets restarted or the plan cache is cleared then the information would not be available. 3. Last_rows: This depicts the number of rows as output when the SP executed last. 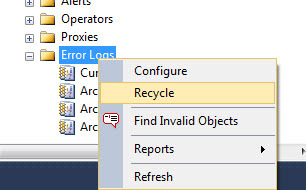 The SQL Server Agent Error Log is a log maintained by SQL Server to record all error messages related to SQL server agent. This record is maintained since the last time the log was initialized or the agent was restarted. 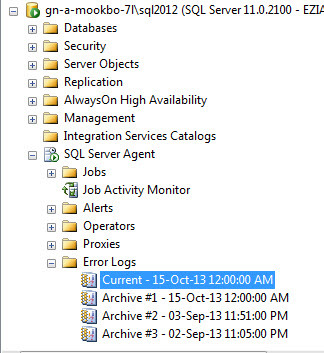 In a highly available OLTP environment the SQL Server runs for a long span of time without restarts. This may cause the logs to to grow by a huge margin and it might be difficult to open the log while troubleshooting an issue. 3) The third way is to create a job and invoke the mentioned stored procedure in step 1 and schedule it on weekly basis. In this article I will try to explain how we can obtain the plan of a SQL query from the plan cache and also how we can remove the plan from the cache keeping other plans intact. Before we see how we can achieve the above we will understand few basic things on plan cache. 2) What is a plan cache: Apart from Buffer pool which is the biggest consumer of SQL Server memory, SQL Server allocates a proportion of this memory for use of storing the query plans. This storage of query plans in the SQL memory is called plan cache. 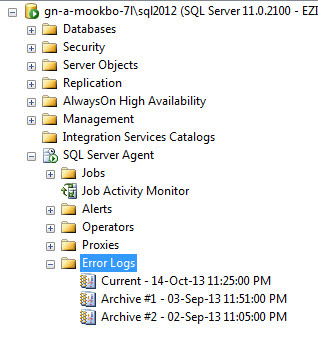 The storage is a volatile storage and if the SQL server is restarted then all the plans are removed from this cache. 3) What is a plan handle: A plan handle is an unique identifier of the plan. Step 1: In this example I have executed the below query on the Adventureworks2012 database. Step 2: Now let us find the query in the plan cache. We will use the below query to find the plan of the query from the plan cache. Observe carefully that in line number 11 we have used a filter to search all the queries in the plan cache which has the word ‘PostalCode’ which is also a part of our executed code on the Adventureworks2012 database. Step 3: The highlighted text is the query that we ran and you can see the the query plan associated with it on the second column. 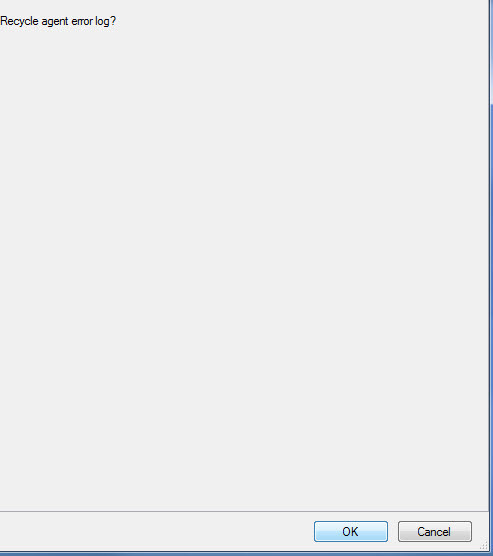 Click on the plan and it will open on a new window. So now we know how we can find the plan of an already executed query from the cache. In short use the above mentioned query and use a string from the executed query as filter in the above given query. Step 1: Find the plan handle of the query plan. This will only drop that particular plan from the plan cache.Be very careful that you do not practice this on a production environment without understanding the implications of the absence of the query plan which you dropped. I hope this article was helpful in finding and removing query plans from the plan cache without impacting other plans.